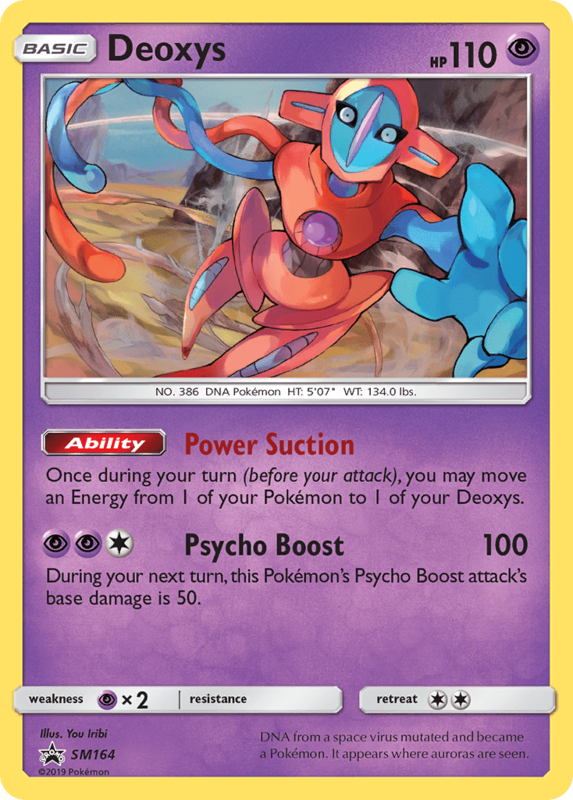 Once during your turn (before your attack), you may move an Energy from 1 of your Pokémon to 1 of your Deoxys. 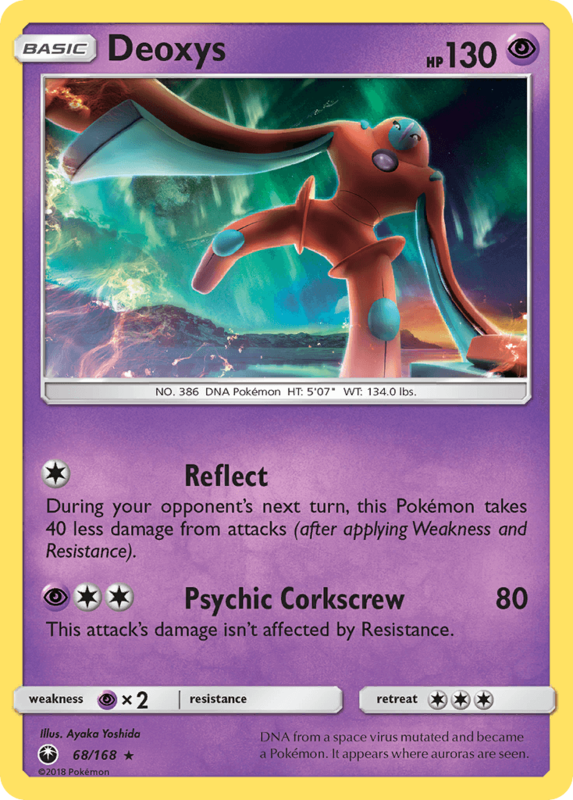 During your next turn, this Pokémon’s Psycho Boost’s base damage is 50. 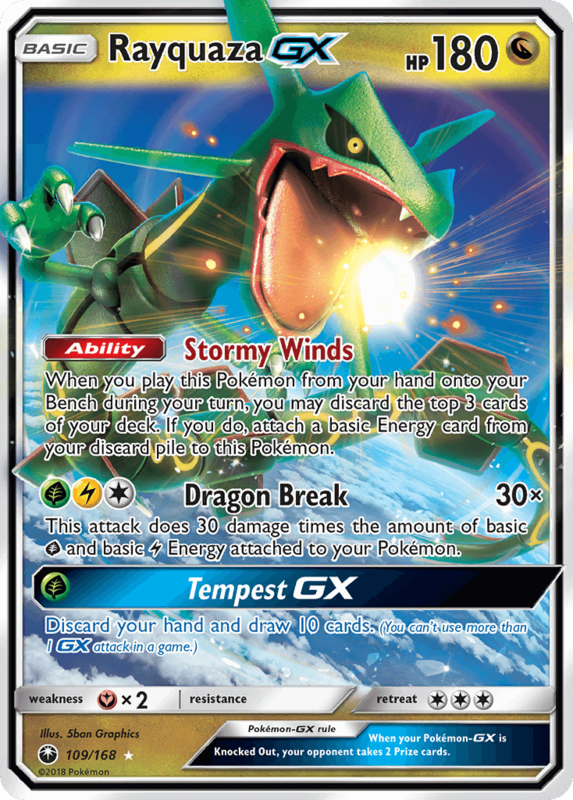 This attack does 50 damage to 1 of your opponent’s Pokémon. This damage isn’t affected by Weakness or Resistance. 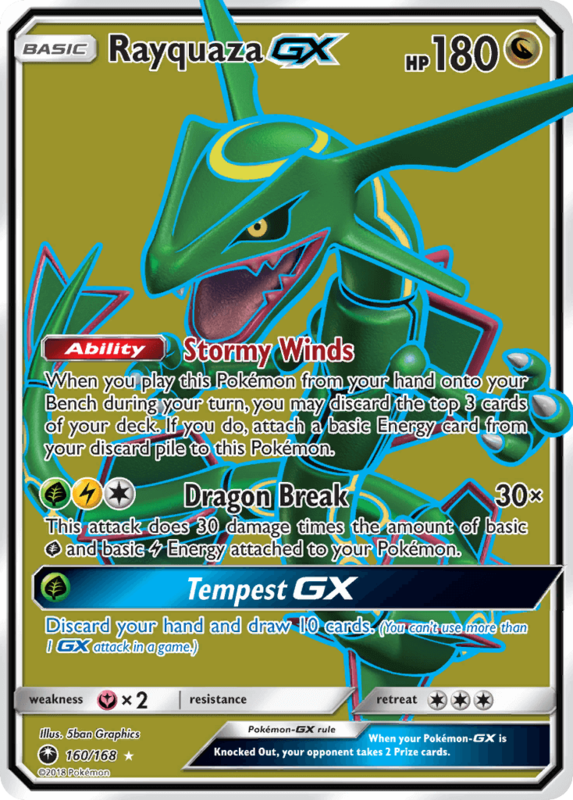 During your opponent’s next turn, this Pokémon takes 40 less damage from attacks (after applying Weakness and Resistance). 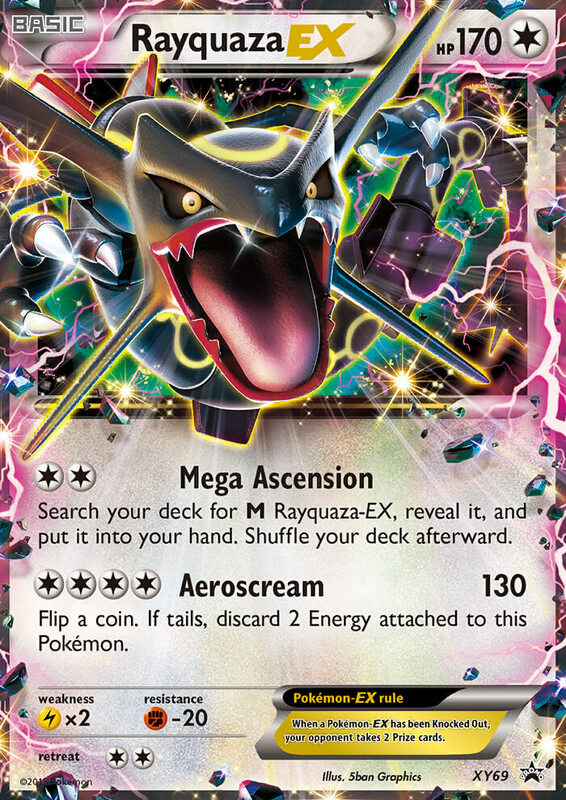 Discard the top 2 cards of your deck. It lives in the ozone layer far above the clouds and cannot be seen from the ground. 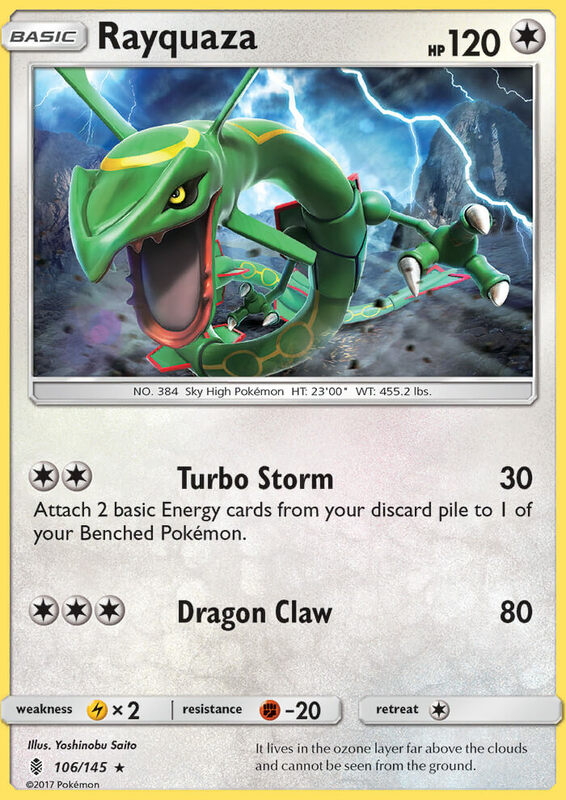 Attach 2 basic Energy cards from your discard pile to 1 of your Benched Pokémon. 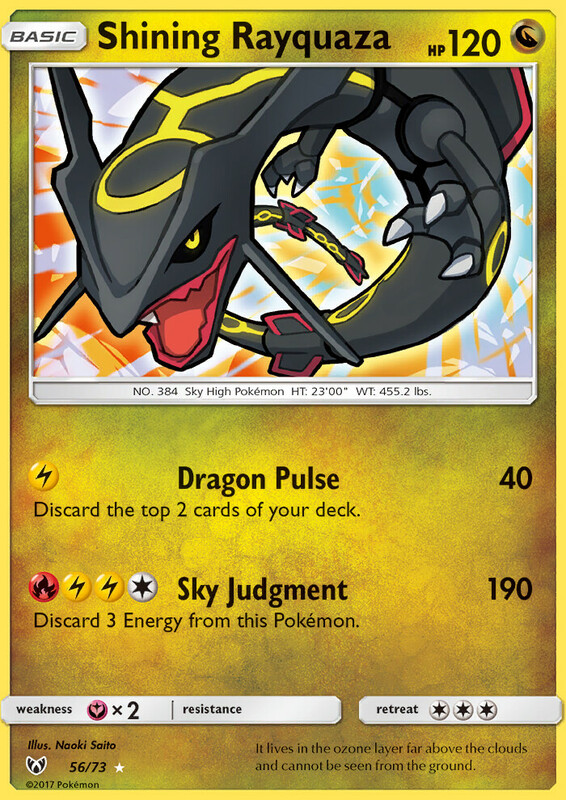 Discard 1 [R] Energy and 1 [L] Energy attached to this Pokémon. Flip a coin. 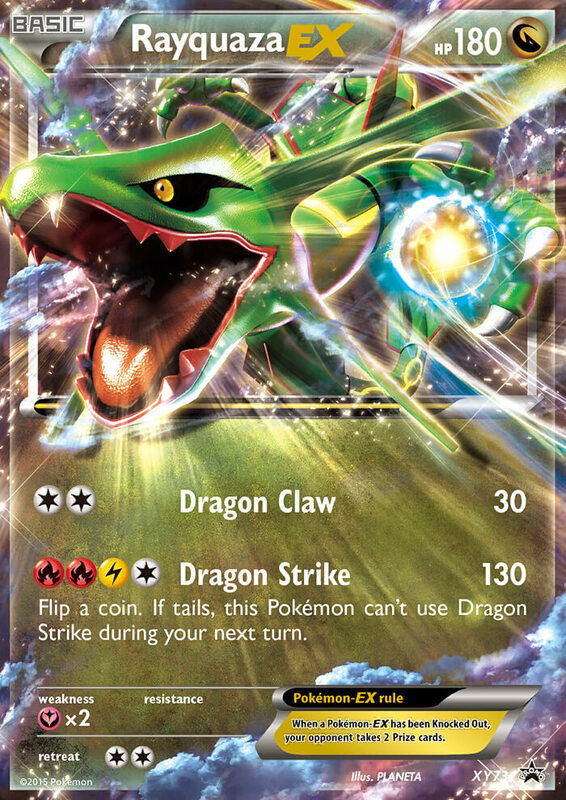 If tails, this Pokémon can’t use Dragon Strike during your next turn. 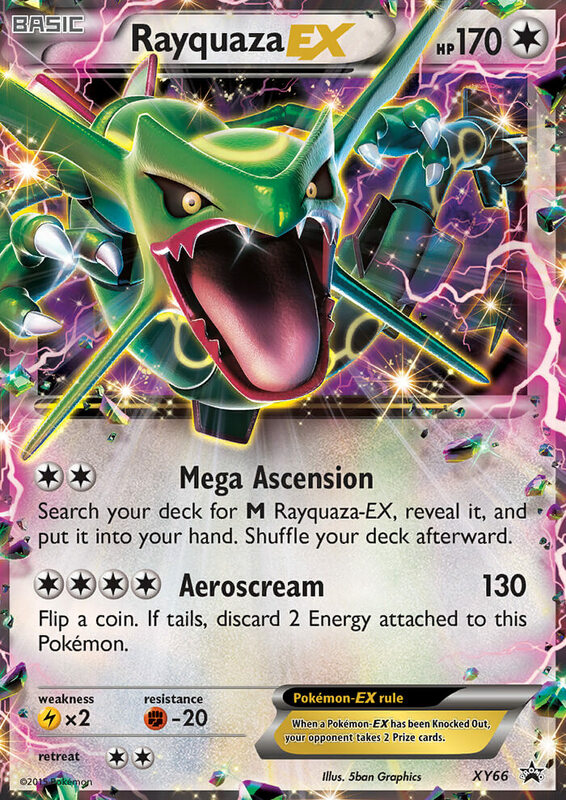 Search your deck for M Rayquaza-EX, reveal it, and put it into your hand. Shuffle your deck afterward. Flip a coin. 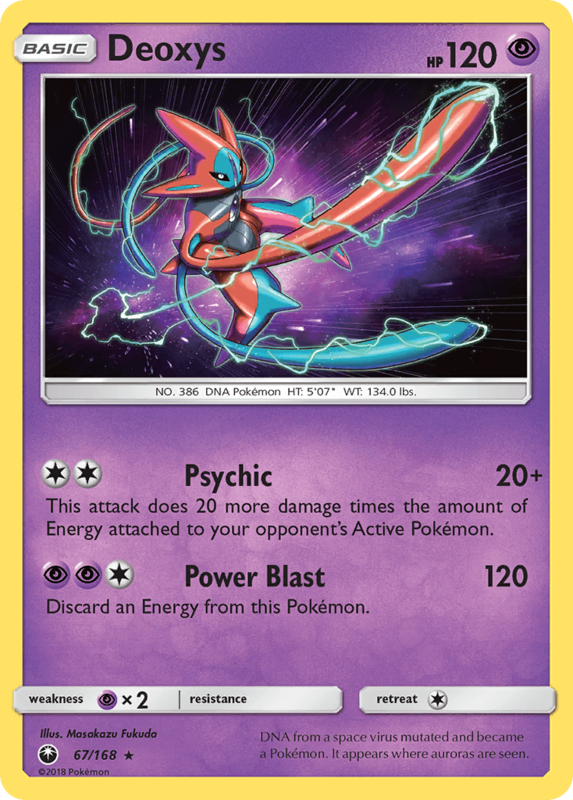 If tails, discard 2 Energy attached to this Pokémon. θMax: When 1 of your Pokémon becomes this Pokémon, heal all damage from it. 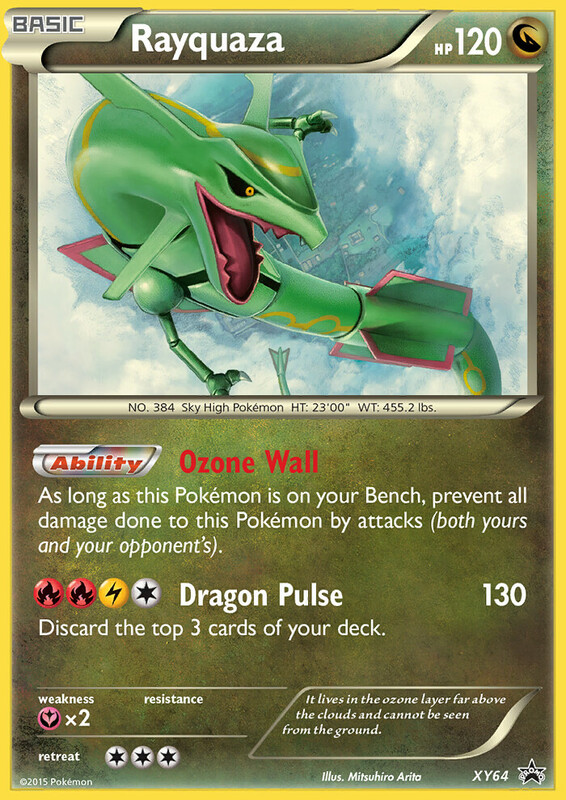 This attack does 30 damage times the number of your Benched Pokémon. 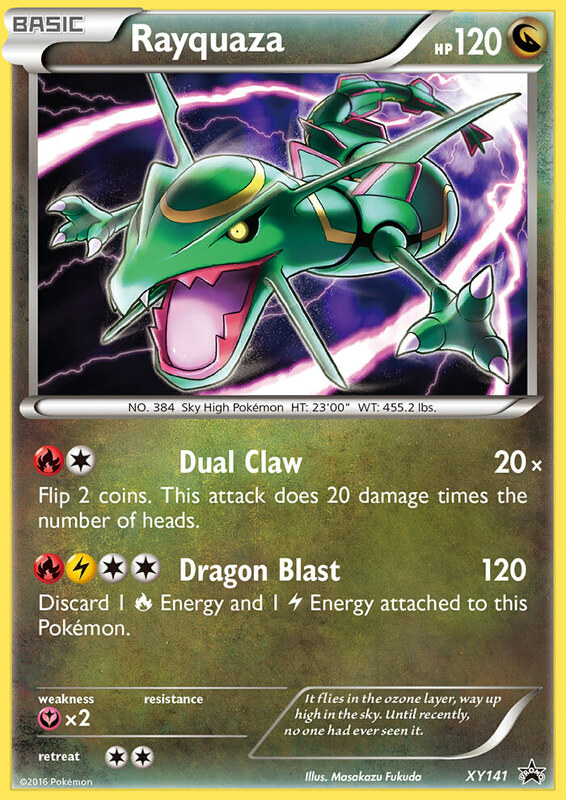 ΔEvolution: You may play this card from your hand to evolve a Pokémon during your first turn or the turn you play that Pokémon. 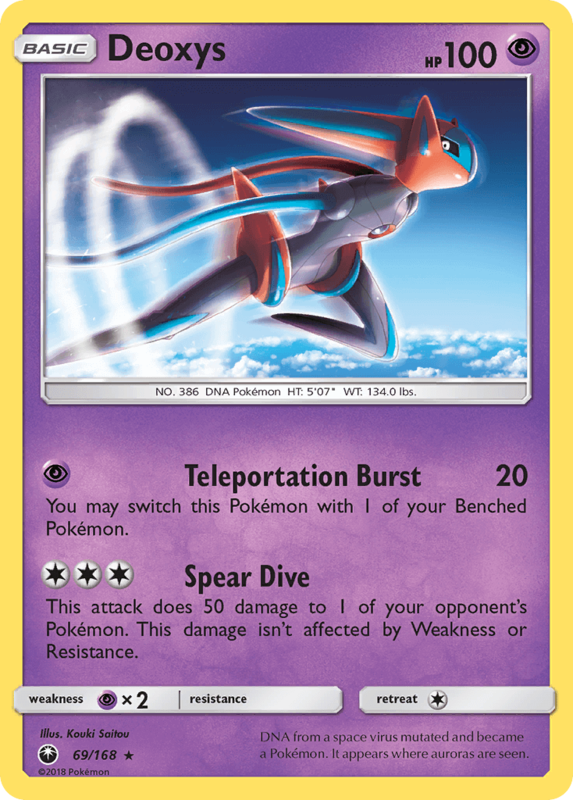 If your opponent’s Active Pokémon is a Pokémon-EX, this attack does 50 more damage. 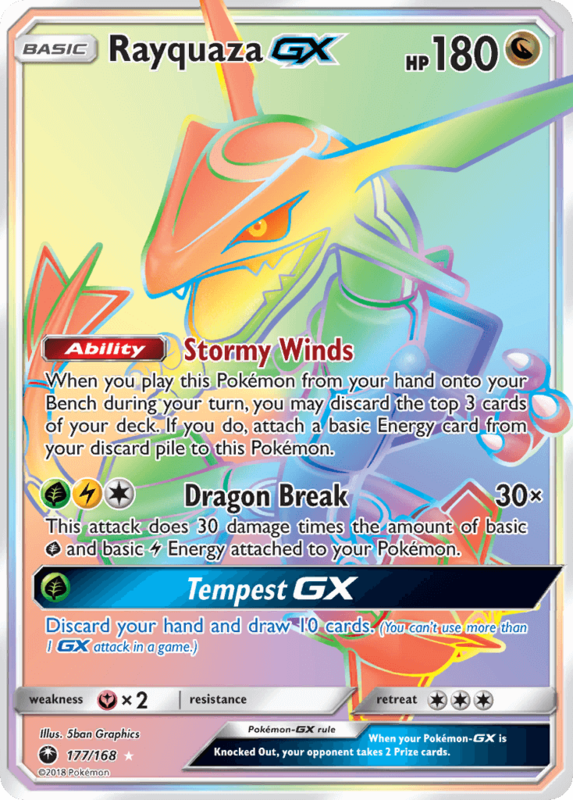 ΔWild: Any damage done to this Pokémon by attacks from your opponent’s [G], [R], [W], or [L] Pokémon is reduced by 20 (after applying Weakness and Resistance).